#HomeIsWhereBikeIs is a celebration of the integral role that motorcycles play in our lives. These machines are a part of our families and homes. 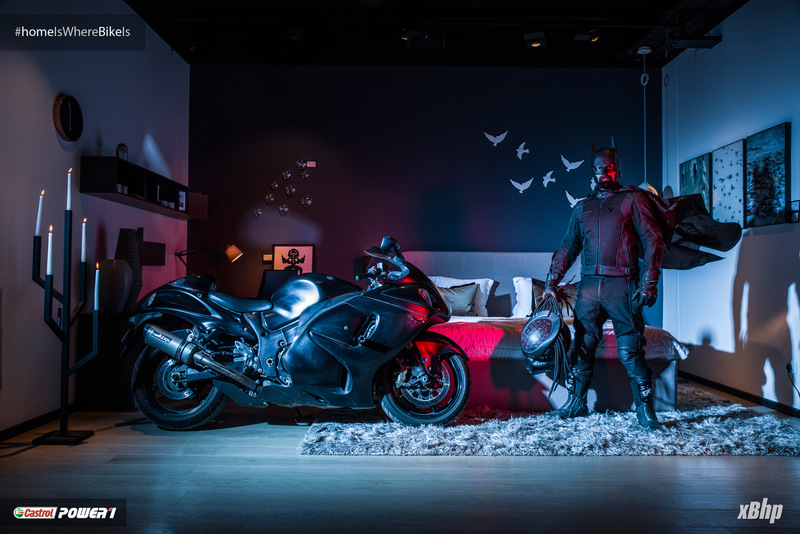 This is again a unique project conceptualized and executed by xBhp in association with Castrol POWER1 and BoConcept India and is our take on the manner in which these bikes add to the joy and splendour of a motorcyclist’s life. In this series, we shot a number of unique and exotic bikes and we will be presenting all of them to you one by one. On popular demand, Big Dog K9 is back on Day 13 of #homeIsWhereBikeIs. Day 11 of the #homeIsWhereBike sees the return of the Indian Chief Vintage. Bike #10 is the gorgeous Ducati 959 Panigale. The mid-size superbike gives all the adrenaline pumping rush of aliter class, with the ease of use of supersport bikes. Day 9 of #homeIsWhereBikeIs shows a #HondaBlackbird. a legend by itself, made even more legendary by the work of a Delhi based enthusiast. Making this one of the fastest and scariest nakeds around! Bike #8 is the Kawasaki #NinjaH2, the Japanese manufacturer’s crown jewel. The only Super Charged production motorcycle. Possibly the most desirable bike on the planet currently. Bike #7 of #homeIsWhereBikeIs the #HarleyDavidson #NightRod, the Milwaukee based manufacturer’s departure from tradition, the Harley which is most unlike a Harley. A rocketship disguised as a motorcycle! Bike #6 is the recently launched Triumph Bonneville Bobber, the British marque’s interpretation of the motorcycling form which started in the 1930s where owners used to strip o all excess bodywork. True minimalism. Day 5 of #homeIsWhereBikeIs shows the #BenelliTNT899, a motorcycle which was designed in the early 2000s and it still looks futuristic in comparison to the competition.A motorcycle which redefines the term ‘razor sharp’! Bike #4 is the Indian Chief Vintage, from one of the oldest motorcycle manufacturers of America. A beautiful amalgamation of yesteryear’s charm with modern technology. The bike #3 is an an icon, a legend, & a cult. The Suzuki Hayabusa inspiring generations of youngsters to yearn and earn their own! The bike #2 is the Big Dog K9 Red Chopper 111, a custom chopper from the world’s largest custom chopper builders. No two bikes are alike in the world. Exclusivity and beauty mated to the hungry power of American choppers! Thanks to Samar Sodhi from the Big Motorcycle Company, Gurgaon for this magnificent machine. The bike #1 is the Suzuki GSX-S1000, the latest liter class naked from the Japanese manufacturer. One of the most potent nakeds currently available in the market. We also have contest running for this project where you can win some cool goodie bags, containing a SMK Helmet, Castrol POWER1 engine oil, 14th Anniversary xBhp tee, and lot more. All you have to do is visit the contest post on xBhp FB page and complete the sentence ‘#HomeIsWhereBikeIs because….’, also you will have to tag @castrolBiking FB page. Adding a photo of your bike inside your living space will boost your chances of winning. Use of hashtag #HomeIsWhereBikeIs is must. The users must also tag @castrolBiking in all their posts. The design of the giveaway SMK helmet would depend upon the availability. We don't guarantee the availability of the same design as shown in the contest graphics. Closing date for entry will be August 8, 2017, Tuesday, 10 p.m. After this date the no further entries to the competition will be permitted. The promoters' decision in respect of all matters to do with the competition will be final and no correspondence will be entered into. The winner agrees to the use of his/her entry photo for this contest in any publicity material. xBhp will have the rights to use the images anywhere as deemed necessary; however, appropriate credit will be given to the photographer. Last edited by sunilg; 08-09-2017 at 12:34 PM. Home is where the bike is because like humans bikes also have a soul, humans need a home for resting after a long days work and same way a bike needs rest after a long days rough ride! Where do we have to post our entries? On the forum or Facebook/twitter? There is no destination, I just want to keep riding. You can post here as well. 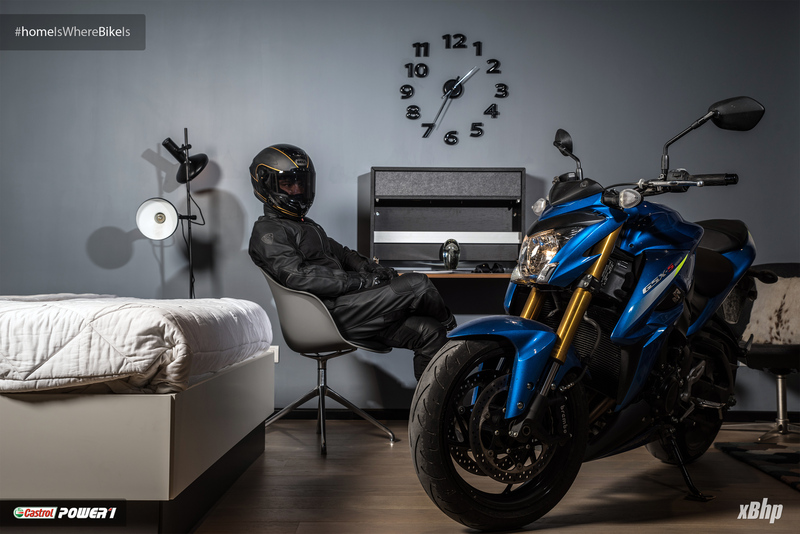 The main task is to complete the caption "HomeIsWhereBike is because_____)" adding the photo of your bike inside your living space will only boost your chance of winning. #HomeIsWhereBikeIs because a warm blanket and snugly fit of the knees on the bike tank let's you make most of the cool decisions. Keep ur friends close.....but keep ur enemies closer. We also have contest running for this project where you can win some cool goodie bags, containing a SMK Helmet, Castrol POWER1 engine oil, 14th Anniversary xBhp tee, and lot more. 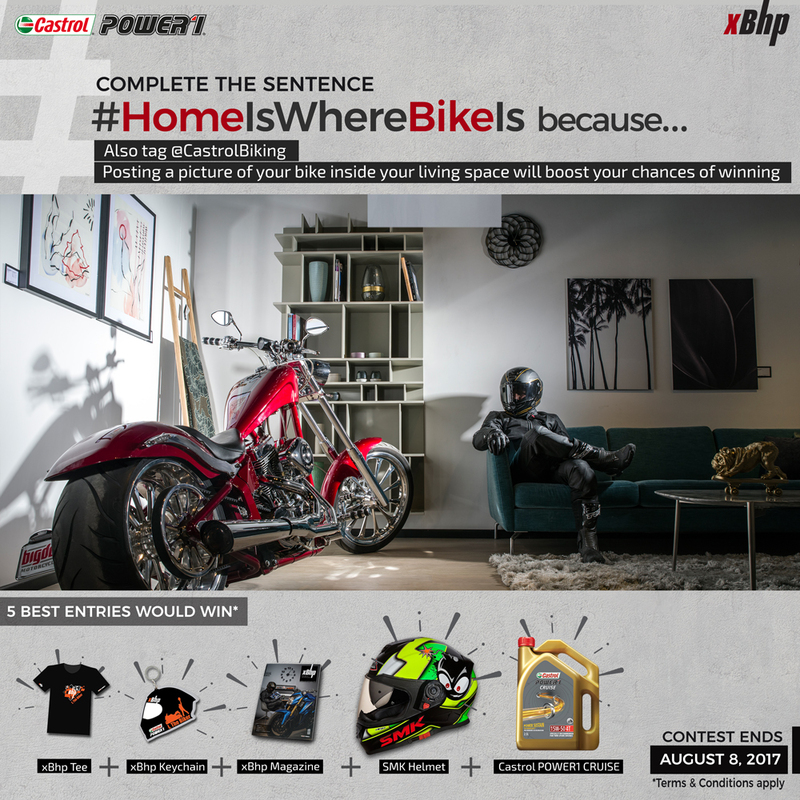 All you have to do is visit the contest post on xBhp FB page and complete the sentence ‘#HomeIsWhereHeartIs because….’, also you will have to tag @castrolBiking FB page. 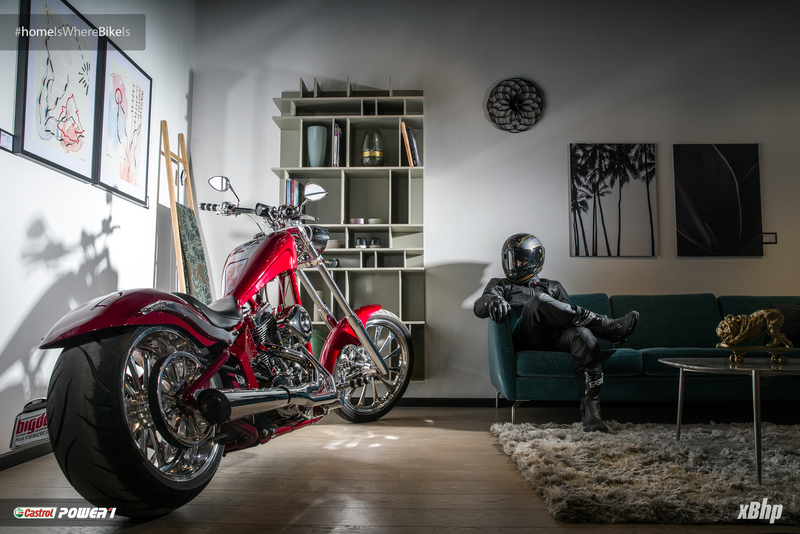 Adding a photo of your bike inside your living space will boost your chances of winning. HomeIsWhereBikeIs- Your home/Bike will always be the place where you get the deepest feel of freedom & rightfully yours, no matter where you are. Like home when you are in ride you can totally relax & can feel the beautiful life we have. As soon as you bought a bike it becomes a part of your life & Family(Home). Like our family members it will always be there for us by the time of need & ready to come with us where ever we want to go. The Best companion for rider, a good friend & a perfect partner to cross miles. My bike is there to fill the space when i was away from home. So we can proudly say "Home Is Where Bike Is".